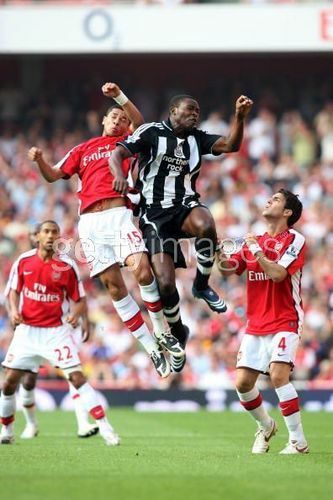 Arsenal vs. Newcastle United, Aug 31 2008. Arsenal vs. Newcastle United, Aug 31 2008, Fabregas 이미지. Wallpaper and background images in the Cesc Fabregas club tagged: cesc fabregas arsenal premier league. This Cesc Fabregas photo contains 풀백, 축구 선수, 다시 실행, and 뒤로 달리다. There might also be 타이트 엔드, 앞으로, and 프로 축구.